27 COLOURlovers viewed this page and think Nim_design is a color guru. Beat boxes, huh? Cool, I didn't think of that. 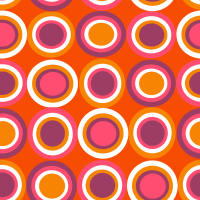 To me the pattern has a retro feel, but trends go in circles so it's probably modern too. Thanks for the nice feedback! It looks like a bunch of beat boxes, It looks mordern. I don't know if you're trying to make it look modern but i still love this nonetheless. Credit must be given to Nim_design & Nynaeve.